Koichiro Hayashi is Vice President and Professor of Law and Economics at the Institute of Information Security(IISEC), a newly established graduate school specializing in information security. He is also an affiliated researcher with Columbia Institute for Tele-Information(CITI) at the Columbia Business School，USA. He obtained Ph.D. in economics from Kyoto University (Japan) in 1991 and J.D. from Keio University (Japan) in 2004. After graduating from Tokyo University in 1963, he joined NTT (Nippon Telegraph and Telephone Corporation) and had experienced various executive positions including President and CEO of NTT America, Inc. In 1997, he changed to academia and engaged in establishing IISEC, after seven-year professorship at Keio. 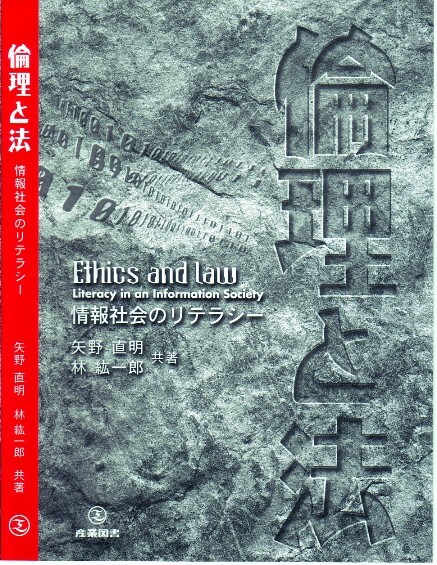 His major works are “The Age of Infomunication,”Chuo Koron Sha, 1984 (in Japanese),‘From Network Externalities to Interconnection’ in Cristiano Antonelli(ed.) “The Economics of Information Networks,” North-Holland, 1992,“Universal Service” (co-authored with Mr.Yoshihiro Tagawa), Chuo Koron Sha, 1994 (in Japanese),‘Unbundling the Copyrights and making property Portion closer to Chose in Action’ “Media Communication，” No.50, March 1998 (in Japanese), ‘Changes and Deregulation in the Japanese Teleccomunications Market’, “IEEE Communications Magazine” Vol.36, No.11, Nov. 1998 (co-authored with Mr. Hidenori Fuke), ‘Comments on the Convergence of Telecommunications and Broadcasting’in K. Nakamura and K. Agata (eds.) “Convergence of Telecommunications and Broadcasting in Japan, United Kingdom and Germany” Curzon Press, April 2001, “Law and Economics on Copyright System,” Keiso Shobo June 2004 (in Japanese), “Media Law in the Internet Age,”Tokyo Univ. Press, April, 2005 (in Japanese), ‘Legal and economic issues of digital terrestrial television (DTTV) from an industrial perspevtive’in Martin Cave and Kiyoshi Nakamura (eds. )“Digital Broadcasting－Policy and Practice in the Americas, Europe and Japan” August, 2006, “The Evolution of Networking” (co-authored with Ko Yukawa and Yoshihiro Tagawa) October 2006 (in Japanese), “Ethics and law – Literacy in an Information Society-“(co-authored with Naoaki Yano), Sangyo Tosho, April 2008a(in Japanese) and”Copyright Term:Does Extension advance Culture?”(co-edited with Tatsuo Tanaka), Keiso Shobo, August 2008.